BMW 16146765822. 5 (E60) 525 d M57 D25 (256D2) 2497 130 177 Saloon 04/06 - 10/03. 5 (E60) 530 d M57 D30 (306D2) 2993 160 218 Saloon 03/07 - 10/03. 5 (E60) 535 d M57 D30 (306D4) 2993 200 272 Saloon 04/09 - 10/03. K1100 1984-1996 16121461576. NEW 52mm Intank EFI Fuel Pump BMW K1 K75 K100. BMW K75 07/1990 – 09/1995. BMW K75 12/1984 – 11/1996. BMW K75 07/1985 – 12/1988. BMW K100 03/1984 – 10/1986. 16124024376, 16124024377, 16126750016, 16126750603, 16126756000. BMW - 3 (E46) - 318 d 09.01 - 03.03 Saloon 85 116 1951. BMW - 3 (E46) - 318 d 03.03 - 02.05 Saloon 85 116 1995. BMW - 3 (E46) - 320 d 04.98 - 09.01 Saloon 100 136 1951. 16141182109 16141182355. BMW;7 (E38);728 i,iL;08.1995-11.2001;142;193;2793. BMW;7 (E38);730 i,iL;10.1994-11.2001;155;211;2997. BMW;7 (E38);730 i,iL;10.1994-11.2001;160;218;2997. BMW;7 (E38);740 i,iL;10.1994-11.2001;210;286;3982. BMW 525I 2006-2007 L6 3.0L E60 Series. BMW 525Xi 2006-2007 L6 3.0L E60 Series. BMW 528I 2008-2010 L6 3.0L E60 Series. BMW 528I Xdrive 2009-201 L6 3.0L E60, Without Auxiliary Heating. BMW 16141181075. BMW 16 14 1 181 075. BMW 16 14 1 180 233. BMW 16 14 1 180 109. BMW 16141180233. BMW 16141180109. With these parts you can replace your defective parts simply plug and play. OEM Part Number. 1182355 1183947. BMW;7 (E38);728 i,iL;08.1995-11.2001;142;193;2793. BMW;7 (E38);730 i,iL;10.1994-11.2001;155;211;2997. BMW;7 (E38);730 i,iL;10.1994-11.2001;160;218;2997. BMW;7 (E38);735 i,iL;01.1996-11.2001;173;235;3498. BMW - 3 (E46) - 318 d. BMW - 3 (E46) - 320 d. BMW - 3 (E46) - 330 d. BMW - 3 (E46) - 330 xd. BMW - 3 Compact (E46) - 318 td. BMW - 3 Compact (E46) - 320 td. BMW - 3 Coupe (E46) - 320 Cd. BMW - 3 Coupe (E46) - 330 Cd. BMW 16141183176. BMW 16146752368. 5 (E39) 528 i M52 B28 (286S2) 2793 142 193 Saloon 95/11 - 00/09. 5 (E39) 520 i M54 B22 (226S1) 2171 125 170 Saloon 00/09 - 03/06. 5 (E39) 525 i M54 B25 (256S5) 2494 141 192 Saloon 00/09 - 03/06. BMW 3 E36 316i 73KW 100HP. BMW 3 E36 316i 75KW 102HP. BMW 3 compact E36 316i 75KW 102HP. BMW 3 coupe E36 316i 75KW 102HP. BMW 3 Touring E36 316i 75KW 102HP. BMW 3 E36 318i 83KW 113HP. BMW 3 E36 318i 85KW 115HP. 1 x BRAND NEW FUEL PUMP OE QUALITY 2 YEAR WARRANTY FITS Description Model Year kW HP cc Build BMW 5 (E39) 520 d 02.00 - 06.03 100 136 1951 Saloon BMW 5 (E39) 525 td 01.97 - 06.03 85 116 2497 Saloon BMW 5 (E39) 525 d 02.00 - 06.03 120 163 2497 Saloon BMW 5 (E39) 525 tds 01.96 - 06.03 105 143 2503 Saloon BMW 5 (E39) 530 d 08.98 - 09.00 135 184 2926 Saloon BMW 5 (E39) 530 d 09.00 - 06.03 142 193 2926 Saloon BMW 5 Touring (E39) 520 d 02.00 - 09.03 100 136 1951 Estate BMW 5 Touring (E39) 525 d 02.00 - 05.04 120 163 2497 Estate BMW 5 Touring (E39) 525 tds. BMW 16141184165. BMW 16146752499. BMW 16146766942. BMW - 3 (E46) - 316 i 04.00 - 02.05 Saloon 77 105 1596. BMW - 3 (E46) - 316 i 06.02 - 02.05 Saloon 85 115 1596. BMW - 3 (E46) - 316 i 02.02 - 02.05 Saloon 85 115 1796. BMW 16141180109. 1 x 16 14 1 181 075 Fuel pump Assembly. BMW 16 14 1 181 075. BMW 16 14 1 180 233. BMW 16 14 1 180 109. BMW 16141181075. BMW 16141180233. UK / US / DE / HK warehouse. FOR BMW E30 3 SERIES Saloon Estate ELECTRIC IN TANK FUEL PUMP 16141179711. 3 kabriolet (E30). 3 Touring (E30). M3 2.3 143kW 195bhp 2303ccm 4cylinders from 07-1986 to 06-1991 engines S14 B23. M3 2.3 158kW 215bhp 2303ccm 4cylinders from 06-1989 to 06-1991 engines S14 B23. BMW3 (E36) 1990-1998. BMW3 Coupe (E36) 1992-1999. BMW3 Convertible (E36) 1993-1999. BMW 3 E36 1990 - 1994. BMW3 Touring (E36) 1995-1999. BMW 3 E36 316i 73KW 100HP. BMW 3 E36 316i 75KW 102HP. BMW 3 E36 318i 83KW 113HP. BMW 3 (E46) 318 d. BMW 3 (E46) 320 d. BMW 3 (E46) 330 d. BMW 3 (E46) 330 xd. BMW 3 Compact (E46) 318 td. BMW 3 Compact (E46) 320 td. BMW 3 Convertible (E46) 320 Cd. BMW 3 Coupe (E46) 320 Cd. MINI (R50, R53) Cooper S 02/03 - 06/09. With these parts you can replace your defective parts simply plug and play. OEM Part Number. III.Fit For the Following. Our warranty is valid for max. 24 months without mileage limitation. BMW X4 (F26) xDrive 30d 2014-ON. BMW X3 (E83) xDrive 18d / 2.0d / xDrive 20d 2006-2012. BMW X1 (E84) sDrive xDrive 18d / 20d / 23d 2009-ON. BMW X3 (F25) xDrive 30d 2011-ON. BMW X5 (E70) xDrive 40d 2010-2013. 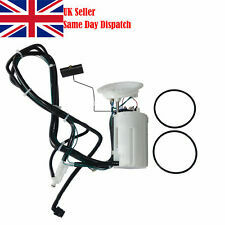 FOR BMW E30 3 SERIES Saloon Estate ELECTRIC IN TANK FUEL PUMP 16141179711. 3 kabriolet (E30). 3 Touring (E30). BMW 16 14 1 179 711. BMW 16 14 1 179 992. BMW 16 14 2 226 815. BMW 16 14 1 184 022. OEM Part Number. K100 K75 K750 1000 1100. BMW 16 14 1 341 231. OEM Part Number. Quality Warranty: 24 Months. All R1200C Models. R1100RT, R1150RT. K100 K75 K1100 16121461576. BMW K75 07/1990 – 09/1995. BMW K75 12/1984 – 11/1996. BMW K75 07/1985 – 12/1988. BMW K100 03/1984 – 10/1986. BMW K100 05/1982 – 12/1988. BMW K100 10/1987 – 07/1990. BMW 16141181075. BMW 16141180109. With these parts you can replace your defective parts simply plug and play. OEM Part Number. III.Fit For the Following. 5 (E39) 528 i M52 B28 (286S2) 2793 142 193 Saloon 95/11 - 00/09. 5 (E39) 520 i M54 B22 (226S1) 2171 125 170 Saloon 00/09 - 03/06. 5 (E39) 525 i M54 B25 (256S5) 2494 141 192 Saloon 00/09 - 03/06. 5 (E39) 530 i M54 B30 (306S3) 2979 170 231 Saloon 00/09 - 03/06. BMW 16141181075. BMW 16141180233. With these parts you can replace your defective parts simply plug and play. OEM Part Number. 1987-1988 BMW 316i 1.8L E30. 1988-1994 BMW 318i 1.8L E30, M40, M42. 1987-1994 BMW 320i 2.0L E30, M20, B20. 1986-1994 BMW 325i 2.5L E30, M20, B25. 1986-1994 BMW 325ix 2.5L E30, M20, B25. 1984-1988 BMW 325e 2.7L E30, M20, B27. BMW 16146752499. BMW - 3 (E46) - 316 i 04.00 - 02.05 Saloon 77 105 1596. BMW - 3 (E46) - 316 i 06.02 - 02.05 Saloon 85 115 1596. BMW - 3 (E46) - 316 i 02.02 - 02.05 Saloon 85 115 1796. BMW - 3 (E46) - 316 i 09.98 - 02.05 Saloon 77 105 1895. 1987-1988 BMW 316i 1.8L E30. 1987-1994 BMW 320i 2.0L E30, M20, B20. 1986-1994 BMW 325i 2.5L E30, M20, B25. 1986-1994 BMW 325ix 2.5L E30, M20, B25. 1984-1988 BMW 325e 2.7L E30, M20, B27. 1988-1994 BMW 318i 1.8L E30, M40, M42. ROVER 75 Tourer (RJ) 2.0 CDT. BMW 3 (E46) 318 d. BMW 3 (E46) 320 d. Suitable For：. BMW 3 (E46) 330 d. BMW 3 (E46) 330 xd. LANDROVER RANGE ROVER III 3.0 TD 6. BMW 3 (E90) 318d. 3 kabriolet (E30). 3 Touring (E30). BMW 16 14 1 179 711. BMW 16 14 1 179 992. BMW 16 14 2 226 815. BMW 16 14 1 184 022. OEM Part Number. Quality Warranty: 24 Months. BMW - 3 (E46) - 316 i 04.00 - 02.05 Saloon 77 105 1596. BMW - 3 (E46) - 316 i 06.02 - 02.05 Saloon 85 115 1596. BMW - 3 (E46) - 316 i 02.02 - 02.05 Saloon 85 115 1796. BMW - 3 (E46) - 316 i 09.98 - 02.05 Saloon 77 105 1895. 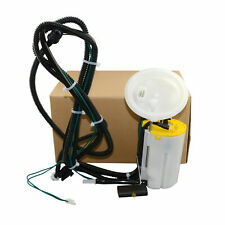 Fuel pump Assembly For 3 Series E30 316i 318i 318is 16141180109 16141180233. BMW 16141180233. BMW 16 14 1 181 075. BMW 16 14 1 180 233. BMW 16 14 1 180 109. BMW 16141181075. BMW 16141180109. BMW 16 14 1 179 711. BMW 16 14 1 179 992. BMW 16 14 2 226 815. BMW 16 14 1 184 022. Fit For the Following. OEM Part Number. UK / US / DE / HK warehouse. We have four warehouses. BMW 16141184276. BMW - 3 (E46) - 316 i 04.00 - 02.05 Saloon 77 105 1596. BMW - 3 (E46) - 316 i 06.02 - 02.05 Saloon 85 115 1596. BMW - 3 (E46) - 316 i 02.02 - 02.05 Saloon 85 115 1796. BMW - 3 (E46) - 316 i 09.98 - 02.05 Saloon 77 105 1895. BMW 4361224. BMW 16146676383. BMW X5 (E53) (2000/05 - 2006/12). BMW 5 Touring (E39) (1997/01 - 2004/05). BMW 5 (E39) (1995/11 - 2003/06). BMW 3 Compact (E46) (2001/06 - 2005/02). BMW 3 Coupe (E46) (1999/04 - 2006/07). BMW X5 E53 3.0 D. BMW 16 12 6 750 603. BMW 16 12 6 757 305. BMW 16 12 6 757 607. BMW 16 12 6 765 000. BMW 16 14 4 028 194. BMW 16 14 6 757 305. BMW 16 11 4 028 194. 16114028194 / 16117165590 / 16121184633 / 16124024376. Land Rover FREELANDER (LN) (1998/02 - 2006/10). Land Rover (import), RANGE, ROVER, Mk, III (LM) (2002/03 - 2012/08). The Rover 75 Saloon (RJ) (1999/02 - 2005/05). 3 Convertible (E46). 3 Estate (E46). 3 Compact (E46). 3 Coupe (E46). BMW 16 12 6 750 603. BMW 16 12 6 757 305. BMW 16 12 6 757 607. BMW 16 12 6 765 000. With these parts you can replace your defective parts simply plug and play. OEM Part Number. Flow Rate @ 5 Bar: 300 L.P.H. Suited to many high performance vehicles up to and beyond 500BHP pumping at up to 300 L/Hr. With these parts you can replace your defective parts simply plug and play. PORSCHE 99362010480. Our warranty is valid for max. 24 months without mileage limitation. In Line High Temperature Reduction: 30 L.P.H. OEM Part Number. Reference Part Number With these parts you can replace your defective parts simply plug and play. BMW;7 (E38);728 i,iL;08.1995-11.2001;142;193;2793. BMW;7 (E38);730 i,iL;10.1994-11.2001;155;211;2997. BMW;7 (E38);730 i,iL;10.1994-11.2001;160;218;2997. BMW;7 (E38);735 i,iL;01.1996-11.2001;173;235;3498. Fuel Pump FOR BMW 7 Series E38 [1994-2001] Saloon Ref:7.50095.50.0 1182355. 1182355 1183947. BMW;7 (E38);728 i,iL;08.1995-11.2001;142;193;2793. BMW;7 (E38);730 i,iL;10.1994-11.2001;155;211;2997. BMW;7 (E38);730 i,iL;10.1994-11.2001;160;218;2997. BMW 16146765823. BMW 5 (E60) (2003/07 - 2010/03). 5 (E60) 530 d M57 D30 (306D2) 2993 160 218 Saloon 03/07 - 10/03. 5 (E60) 525 d M57 D25 (256D2) 2497 130 177 Saloon 04/06 - 10/03. 5 (E60) 535 d M57 D30 (306D4) 2993 200 272 Saloon 04/09 - 10/03. 16141182109 16141182355. Fuel Pump FOR BMW 7 Series E38 1994-2001Saloon 740i,iL 286HP 210KW (Petrol). BMW;7 (E38);728 i,iL;08.1995-11.2001;142;193;2793. BMW;7 (E38);730 i,iL;10.1994-11.2001;155;211;2997. With these parts you can replace your defective parts simply plug and play. OEM Part Number. MINI (R50, R53) Cooper S 02/03 - 06/09. III.Fit For the Following. BMW 16 14 6 756 185.